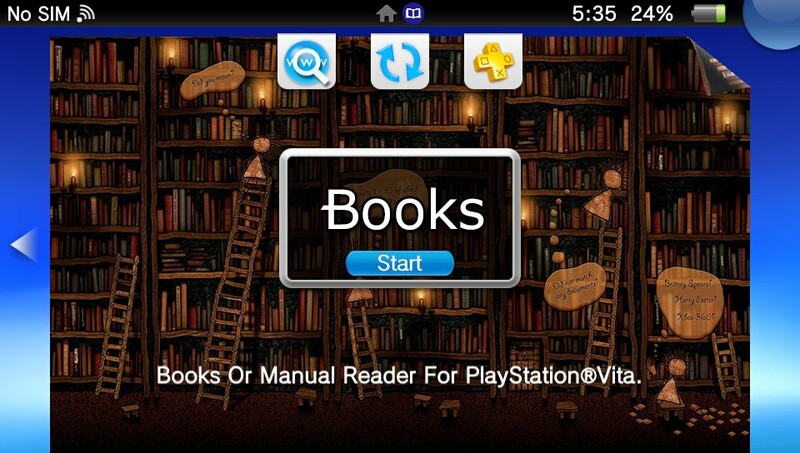 Today developer BenMitnicK has released a new vita application that allows users to read books and manuals saved on their PSVITA. Check out the release Notes and the download link provided below. VitaBooks is a manual or book reader in PNG images The software will create a directory named book and inside you will put your books or manual in the following ways book->VirtualTennis->image1.png,image2.png, toto.png, titi.png etc.... limited to 100 images per book or manual. The images must be FullScreen 960x544. Please note if the download does not take you to a download page close of the link and try again.